As dusk envelops the grasslands of Gambella in western Ethiopia, a weary Jakob Pouch sits on a jerry can, resting his chest against a wooden staff. 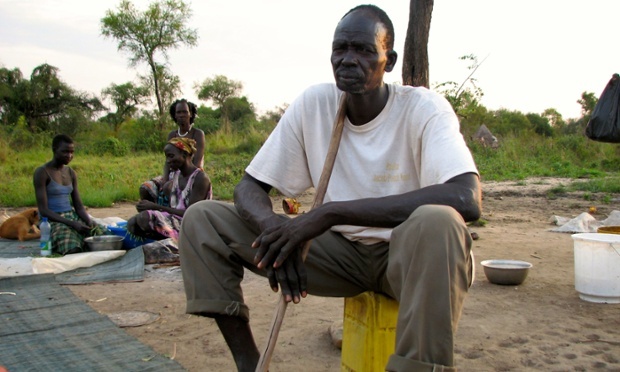 The 45-year-old evangelical preacher from the Nuer community has just made the three-hour walk from the banks of the Baro river, where he tends to his large family’s small plot of corn. His daughters are preparing cabbage and cobs to be cooked on an open fire. In the opposite direction, across the asphalt road that leads to South Sudan, lies the farm of BHO Bioproducts, an Anglo-Indian company growing rice and cotton on the 27,000 hectares (67,000 acres) it has leased. Pouch says the company doesn’t care about the people of his village, Wath-Gach. Grazing land has been lost, and BHO has built a wooden cage around a water pump to prevent locals using it. “From the beginning we did not have a good relationship,” he says. “It was given without consultation. There has been lots of negative impact.” The company didn’t respond to a request for comment. BHO’s operation, which began in 2010, is one of many concessions Ethiopia’s government has granted in Gambella, including one plot leased to the Indian company Karuturi Global of 100,000 hectares. Commercial farmers are expected to bring knowhow, technology and jobs to one of the country’s poorest and most remote regions. By converting uncultivated bush into productive farms, officials believed food security and export revenues would improve in a country dominated by subsistence agriculture. But despite those worthy ambitions, progress has been hampered by Gambella’s logistical difficulties, and a failure to ensure local communities benefit. 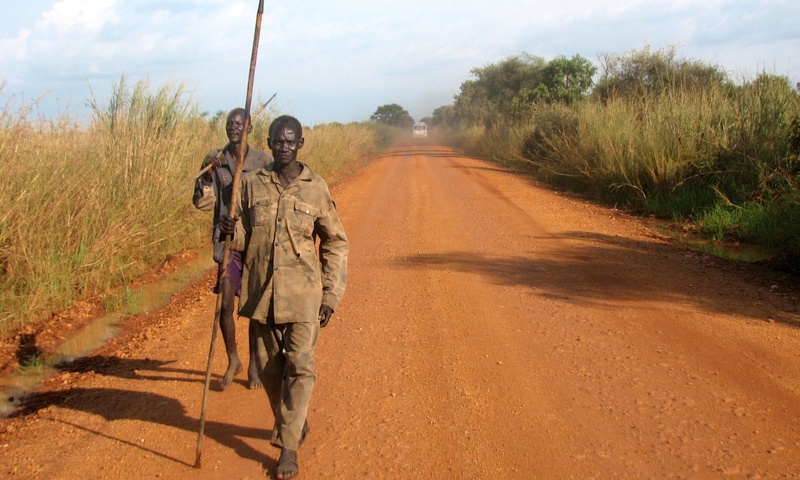 The village of Ilea is home to people from Gambella’s other main indigenous group, the Anuak. It’s also been the headquarters of Karuturi’s operation for the past five years. In the village, a group of men shelter from the afternoon heat, passing round a tobacco waterpipe. Behind them, women draw water from a well built by the government. Karuturi’s project has stalled after managers discovered that four-fifths of the land is in a floodplain. The firm also failed to build relations with residents, according to the elders. Complaints include reduced land for farming and hunting, no promised health clinic, cattle dying from ingesting pesticides, the burning of unwanted maize, and only a handful of jobs for villagers. “The government benefits from the tax but the community does not benefit,” says Obang Wudo, one of the elders. The gripes of Ilea’s residents about Karuturi are compounded by their concerns about nearby land parcelled out to Ethiopian investors from outside Gambella. They say they frequently lobby the regional government to act, but nothing has been done. That region’s president, Gatluak Tut Khot, expresses support for investors engaged in “very difficult work”. The regional government can’t force companies to pay more, he explains, but his administration has held meetings to improve relations. “They have to respect the interests of the community and those who need jobs from them,” he says. Gambella has been the focus of a political fallout between the central government and advocacy groups such as Human Rights Watch and the Oakland Institute – with donors uncomfortably positioned in the middle. The critics claim that aresettlement programme to move scattered rural populations to larger settlements was coercive and designed to clear the way for investors. Ethiopia says rights groups from the global north are ideologically opposed to its state-heavy development model and that the voluntary resettlement programme was to make public service delivery more cost-efficient. The UK’s Department for International Development and the World Bank are facing legal inquiries for funding the salaries of civil servants who staffed the enlarged villages. Karuture farm managers at the site referred inquires to the company’s head office, which didn’t respond to attempts to contact it. One farmer from Ethiopia’s highlands, who did not want to be named, tells a different story. 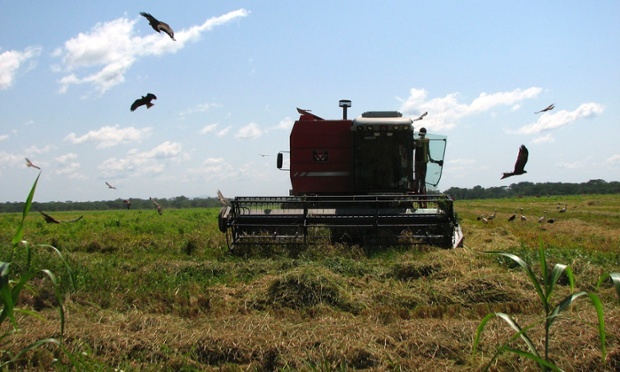 He thinks the wave of commercial farming will transform an economic backwater. “They were sitting on the side of the riverbank,” he says about locals. “If investors are coming, their life has changed, they are operators, technicians.” He pays 50 birr (about £1.60) a day – above the average for manual labour in Ethiopia – and provides transport for his workers. Eight houses have been built for teachers, he says, and 25 hectares cleared for the community to plough. Some larger enterprises are also reaching out. At the request of the regional administration, Saudi Star Agricultural Development’s four-year-old rice farm in another part of the region has hired 40 local professionals, while district governments will each get two tractors for young people to use. “We know we’re creating job opportunities, transforming skills, training locals,” says the firm’s chief executive, Jemal Ahmed. “The community has to profit from the project and we have social responsibility.” He is fully aware of local sensitivities about the company’s work. The farm, bankrolled by Ethiopian-born Saudi billionaire Mohammed al-Amoudi, was attacked by gunmen two years ago and has been criticised as a land-grab.